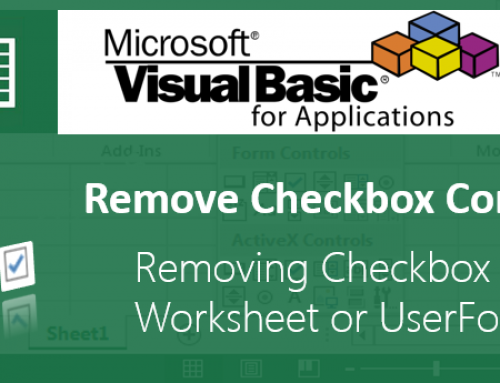 When we are dealing with many worksheet, it is a routine thing to copy data from one worksheet to another in Excel VBA. For example, we may automate a task which required to get the data from differen worksheets (some times different workbooks). In this situation, we need to copy the some part the worksheet and paste it in a target worksheet. We can use Copy method of a range to copy the data from one worksheet to another worksheet. 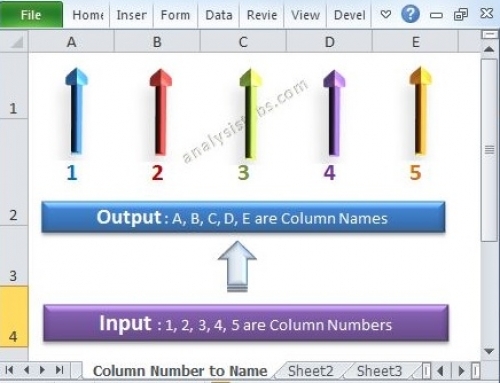 The following example will show you copying the data from one sheet to another using Excel VBA. Now you should see the required data (from sheet1) is copied to the target sheet (sheet2). Method 1: In this method, we do not required to activate worksheet. We have to mention the source and target range. This is the simple method to copy the data. Method 2: In this method, we have to activate the worksheet and paste in a range of active worksheet. The main difference between two methods is, we should know the destination worksheet name in the first method, in second method we can just activate any sheet and paste it. I am trying to copy specific ranges from 12 worksheets on from the “Source” workbook to the same specific ranges on 12 worksheets to the “Target” workbook. How can I set up a “loop” to accomplish this in a VBA code? Thanks! Search with a keyword ‘downloads’ in our site, you will get the working file to see the code. 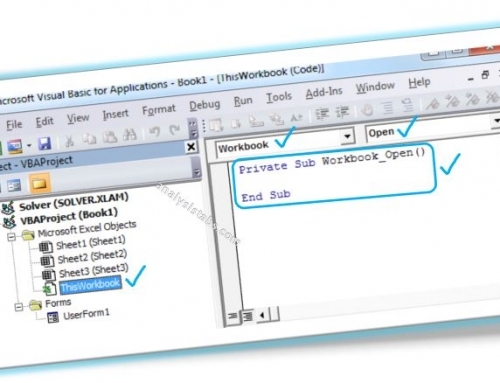 I need the same VBA code but you have mentioned for different workbooks but in a single workbook itself i had 12 sheets in that specific columns(B,J,M,U,V) need to selected so pls say the changes to copy and paste in another seperate workbook. How can we select user choice range and paste it in user defined range? Can we give ability to transpose the data if user wants? Do u gave any vba script that can help me with that? We give the user to select a range to copy and range to paste in two different ways. 1. You can use two input boxes: one is to accept the ranges from users and other one is to choose the range to paste. 2.The other method is, creating userform and place two RefEdit controls. one is for to select the range to copy and the other one is the for accepting the range to paste. Hey! I work for a transportation company and have a workbook in which I keep track of trailers parked at a lot daily. Every day I copy the previous day’s sheet and rename to today’s date. So I have sheet “05-05” and I copy it and rename the new sheet to “05-06”. I have been Googling this for hours now to no avail: I am trying to create a button that runs a macro that creates a copy of the active sheet, and renames it to today’s date. If I have to include the year in my sheet names that is fine. Can anyone help? I have two worksheets named Data and Levels. In Data worksheet I have thousands of rows and three columns ( region, ID, and sum). In Levels worksheet I have only hundreds of rows and two columns (ID and Level). What I need is to put for each row in the first sheet its corresponding level from the second sheet. I am working on a macro to transfer data from one spreadsheet to another. I would like ot transfer the data to the next open row within the second spreadsheet. Basically I want to take electronic batch sheets, with data entered in them, and transfer that data to a central source for record keeping. Is this doable? We can do this, every time you need to find the last row in the common file and update the data from that particular row. You can search for the examples provided to find the last row in the excel sheet. Or, you can send me the sample file. I have a work book on which there are sheet1 and sheet2 with our damage items lists. There is a sheet called ” Bill” which is having a format. We have to conduct a seconds mela, so that when a customer selects the products from the list, we have to make a bill with customer address and other details including items code and item diescription with price details as per format in Bill. On running the macro button, I have done clear contents of invoice details for entering another customer details. responsible financial advisor or other professional. credit card, make timely repayments of the credit facility availed and enhance your credit transactions. 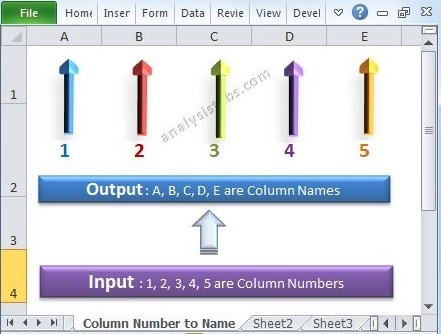 Hi I am pretty rubbish when it comes to VBA, im trying to put together a stock book where everything in column A, B and C on sheet1 automatically copies on to column A, B and C in sheet2. I want them to appear in exactly the same cell for each column. I dont want to have to click run or a button. Can you help? How do plan to initiate the script without a button or having to click run? We can assign to short-cut key, like Ctr+Q. Go to Macros list and select the macro, then provide the keyboard short-cut in the Options. In the VB Macro Can you also apply filter conditions from the source workbook to copy (based on filter) and paste it in a destination workbook. please note its a different workbook and NOT sheets. for every month, i am using one spreadsheet for each day. so for example for 30 days in a month, 30 spread sheets. the spread sheets contains lot of matter. what i need is the data of total month details has to come in one spreadsheet with date wise. You can do this using formula or VBA, please send an example file, we are happy to help you. The code works great but is there away of molding it slightly so instead of “Activatesheet.paste” you can paste only the values? the main problem is that import dxata cantain duplicate values I do not import them I want only append new values in column. 1.if your input data having minimal rows and columns then you can use for loop to check the duplicates and update record by record. 2. If you have lot of records in your input file, then import all the records to your target file and then delete the duplicate records in one sheet using Delete Duplicate function available in the Excel. 3. If may not want to disturb your target sheet -then you can duplicate the sheet and import the latest data into this temporary sheet. And run the macro to delete duplicates and then merge the unique records to your actual worksheet. Hi PNRao, please could you help me with a VBA formula about this matter? I want to copy the data from sheet1 to sheet2 automaticly. In sheet1 there are formulas in the cells, but I want only the text to be copied to sheet2, everytime something changes in sheet1. Is this possible? I hope for a answer, would be very appreciated! Thanks a lot in advance for any help! we have to copy only those data which have the specific headings. the data in the sheet1 is dynamic and keeps on changing at the End of each day, and we need only values into sheet2. 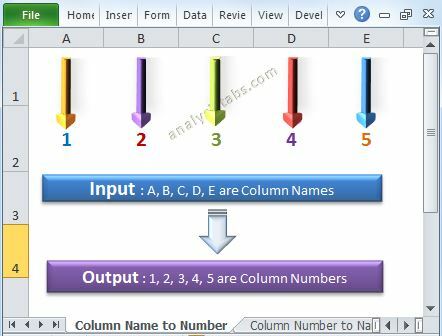 in sheet1 we will be having like for ex 32 columns(headings), we need only 9or 10 columns out of those 32.
please send me the code for this to my mail, your help is highly required. I putting together and inventory sheet to track my restaurant inventory. I have figured out how to get the data from my add sheet and my remove sheet to the calculation sheet. The only problem is every time I run the macros it overwrites the data already on they calculation sheet. I have been trying to figure out what code line I need to search for the next available row and then paste my data. Can anyone help me with this? Keep in mind I am a beginner when it comes to this stuff. And then paste your data. could you please help me with a VBA formula about this matter? I have approx 60 files (.xls or .xlsx) saved in a drive c:\test\. However the number of files varies each time. (maybe less or maybe more)… I want to open the files from the directory and paste to master.xls assigned tabs. (i.e. abc.xls must go to master.xls TAB ABC, efg.xls must go to master.xls TAB EFG tab, and so on). I see a lot of vba that loop through directory if filename xls THEN copy to just master sheet. But since my number of file varies each time, and each file must be paste to assigned TABS. Please assist and thanks in advance. i have got a requirement to copy data from One Excel Workbook to another Workbook(Located locally on the same machine). This will help me consolidate the data am receiving from my peers to a master file. Ideally there should be a VBA button on the source workbook if i click on it, that should trigger copying to the Master Workbook. I’m working on excel document and I have to find a solution for situation like this. In one of the cells I need to have one word permanently and when I’m putting one click on it to write next to it a name which I will use on other sheet. Is exist an solution to do this using VBA or formulas? I have been told in some forums that this isn’t possible, but have been working on figuring this out for weeks! The company I work for is a Gov’t Subcontractor. The owner has a master spreadsheet “Pipeline Data”. There are headers in row 1, data from columns A-S and currently 348 entries. Columns M & N contain years for the solicitation date and award date (these can be the same year or 5 years apart). Is it possible to have a code transfer the data in the rows that have 2015 as the year in either M or N to a worksheet “2015”? The owner wants to be able to click on the worksheet 2015, 2016, 2017 etc. and see all the solicitations and awards that will occur in that year. The other tricky part is he wants it to automatically update when I enter new data in a row….so for example, if the new data has solicitation year 2015, but awarded in 2018 then it will automatically copy to both sheets 2015 & 2018. I did find a code in a forum that worked checking column M for the dates, but having no experience with VBA, I have no idea how to rewrite it to check both columns M & N. As I stated, others have told me Excel was not capable of doing this, but I want someone else’s opinion. I know the owner is tired of hearing “I’m still working on it”, but I have yet to find a way for this to work and I am a determined lady. Thank you in advance for any help you can offer me!! Hi there if its possible to help me with a very complicate issue in vba. from D4 to N4 horizontaly there are names like (Thomson, James, Howard…etc ) where are corresponded values like 0 or 1 or 2 per name and question. The only difference between these 50 files is that not always each cell is fullfiled from (d4 to N4 with names) . Sometimes are less than 11 names and left it blank the coressponded cell but the format is the same for all 50 files. What i want to do is little complicated. I want to take each response from FILE1,FILE2…to FILE50 and copy the values into another file or sheet. In the new file or sheet i want to organized the answers in lists per answer and per question. These lists should be created for every question from Question1 to Question30. I hope i explain well what i would like to do and i hope even more and i would appreciate any suggestion and advice from anyone for this complicated work. Now I want to copy 1 column of data to another workbook, but the data need to be separate in different columns which is not continuous column. you can record a macro and use ‘Text to Columns’ command in the data tab. And change the auto generated code accordingly. I want to know what i am trying to do is possible or not in excel and if how? I want to write data in one sheet (e.g.. sheet1 A1 to G1) and that data get copied to sheet two(e.g.. Sheet2 A1 to G1) then again when i write in the same row of sheet1 (A1 to G1) this time the data get copied to sheet2-A2 to G2 and this process goes on. Basicalyy i want to fix my user input cell in sheet1 and the resultant will be transferred to sheet 2. Is their any way to do this. Here is the code to copy the sheet1 data into sheet2. You can place a button in sheet1 and assign this macro. You can ask your users to fill the data in sheet1 and hit the button to update the sheet2. we have 100 number of files in a folder which has name like C1.. C2.. C3 to file C100. we have defined name range in all files. we need output in a different worksheet named “WORKBOOK”, Sheet name “OUTPUT” Continuously starting from cell A1. can anyone please help regarding this.. I have 4 columns of data in Sheet 2. I need to search a value in column A and a value in column B. Once both column match at row X, I want to copy column C, row X : row X+1 and column D, row X : row X+1 to show in Sheet 1. Please show me how to do this. Thank you! I appreciate all your hard work, I had my popup in column K but no worries I just started over and used column A and all is working out. I hope I can call on you again. I am constructing a sales history. Where I have all the sales of the day recorded on a sheet. After we close, I copy (using a Macro) all the info to another Sheet. Also, I’m trying to filter and copy some rows from that sheet to another. The “Search” I’ve made using a UserForm, but I’m having some trouble with the “copy & paste” part. Could you suggest a way to do it ? If you need, I can also paste the code..
Kindly help me on the following problem I have a sheet with some names of the products with their company names in two columns respectively & in corresponding the quarter sales is updated in a workbook which need to be copied again to the other workbook which is having same product name in one column & company name in next column in next column & quarter sales (needed to be copied along with values+ cell comments) in other column. The column keeps on changing for each quarter i.e if its A column for this quarter then its B for next quarter. Kindly help me with a macro for the same ASAP. I’m looking for a VBA code to export tables from a workbook to another . Here’s what I have. Workbook1 (“Validation”) has tables exported from access queries. Tables are exported into sheets (F01,F02,F03……F10). This tables needs to be exported to another workbook (“Validation Update”) to next blank row. So, table from Workbook1/Sheet F01 to be exported to next blank row, Workbook2/Sheet F01. And repeat the process for sheet F02, F03 to F10. Some of the tables may be empty sometimes. Is there any way to use N/A in that case? In my first excel sheet there are around 20 columns but want to copy around 5 of them to the second worksheet using a VBA macro. Please find the below macro code. Hi, Want to copy data from various sheets in one, is that possible using Macro? When yes is entered in a column the macro copies the row the yes is in and transfers it from the waiting list spreadsheet it is in, to the allocated spreadsheet in the next available row, of the same workbook. It would be great if once transfered the data could be deleted from the waiting list spreadsheet and the data below it be moved up. I keep getting error messages and have no idea what I am doing wrong. Can anyone kindly help me? When completing the Order Form, a check is carried out agasint the inputted cell to see if it is in stock, if it is then the Stock Level work sheet is updated accordingly. If it is not availble (<=0) then you are prompted on the Order Form sheet that this isnt in stock and the Stock Level sheet is updated to show that stock is required for order. – If you can follow my poor description then grand, if not – not to worry as this is the part I dont need help with! What I do need help with/ words of advise/ shoulder to cry on etc is with the relationship between Order Form & Order History. Ideally, once you have completed the Order Form all the details will be passed through to the Order History, but I only have one instance of the Order Form and the Order History so when I need to put an order through for another member of staff it over – rides the details in the Order History as opposed to 'adding' it to the Order History sheet. Is there a way, where if you complete Order Form and 'submit' it will populate the Order History sheet wit the relevant data and then clear the data out of the Order Form ready for the next entry – whilst keeping this data stored within the Order History Sheet? I am struggling with copying data from master file to rest of tabs based on filter. Assuming I have master sheet with column name application and my tabs are arranged with column names, I wanted to copy data from master sheet to corresponding tabs of each application, with keeping master data as well. Also if something is present in master tab but not in application tab, that row must be moved to separate tab I created. This tab is common to all application tab. Reason being, this master sheet is going to get updated every day and I want my tabs to have current data but keeping the old one in misc. tab. I will really appreciate the help. Thanks. how to copy data from one workbook and paste to another workbook. # copy entire rows 1, 2.. create a new spreadsheet (new excel file) and transpose paste and save the file with value in cell “B2” of new spreadsheet. # copy entire rows 1, 3.. create a new spreadsheet (new excel file) and transpose paste and save the file with value in cell “B2” of new spreadsheet. # copy entire rows 1, 4.. create a new spreadsheet (new excel file) and transpose paste and save the file with value in cell “B2” of new spreadsheet. And the process go on for 400 rows ans ending up with 400 new Excel spreadsheets with names of values in their corresponding B2 cells. I am a public health researcher and with my knowledge in VB, I couldn’t manage write a code. Could someone please help me with this? Im having Six months data on sheet1. I Want to Copy one month data from sheet1 to sheet2. can u plz help me to use loop function in VBA codes??? and how to plot the graphs using macro without gaps..
i want to plot only for activecell which i copied from sheet1 to sheet2! whats the VBA code for this two ?? Kindly help me with a macro. I have a master excel sheet for my data entry .I want a VB code for saving this sheet in to other work book,which contain 31 sheets.The master sheet shouild be copied every day in to target work book by date basis.For example if I have finished my data entry in master sheet today, by command button click it should be copied to 6th sheet of target sheet. I currently have two separate workbooks that get sent to two different customers with the exact same information. One has heading in Column A and data in Column B, while the other has Headings in Row 1, Data in Row 2. They also have different spacing so I can not directly transpose. Happy to fill in line by line but NEVER done code before and would really appreciate some help! This is what I have just from some attempts myself but keep getting errors. I have a workbook that I use for my servers that I input their tips on daily. Is there a way to add the total tips from each workbook? PNRao, your comments helped me a lot to figure out the mess i was in. Thanks a lot. Good job guys. Thanks and you are welcome!-PNRao! For example ı have an excel sheet containing many data. I need to choose all rows containing turkey word and make all these rows yellow. I have a query, if you could help me out I would be grateful.. Waiting for your expert advise.. I have two workbook. X and Y. I want to copy data from closed workbook containing text data X range A1: R53 into Y A1: R53 as number data. X file will keep changing as the data is exported from the web. Long time since I played with VBA, now trying to write code to copy order requirements from multiple worksheets to a master if someone enters a value in the Order_Qty column. Have tried several different ways and it falls over! 1st sheet in workbook is Order_Sheet. Currently blank from row 11 down. Only 4 columns in use at the moment, Item_Number, Descriptio, RRP and Order_Qty. 15 Items listed, with description and RRP. Customer to enter Qty’s required in Column D.
3rd sheet (Group_B) as per Group_A. 4th sheet (Group_C) as per Group_A, but only 10 items. Hi I have n no. Of sheets in my workbook. In this I am using find function with unique value or name once I found I have copy the data of entire row and paste in the previously worked sheet where I started using find. I am khushbu. I want to develop VBA code so that it automatically transfer the data from different excel to one master excel file. Master file and other excel has same format. I have to send master file to different centers so that they update their project details in it by filtering their centres. There is total of 20 centres so I always get 20 excel files from different centers. Please help me for it. I am new to excel VBA. I have a one task. we have a average program running time for several subsystems for each month.each month’s data will be in seperate sheets in a same workbook. what I have to do is I want to copy each month’s data from the workbook and I have to paste it in the different workbook which contains only single worksheet. note that there are 5 columns for each month data. There should be one column left blank between each month’s data. This code should work when I add a next month data in the data worksheet. Can anyone help me in resolving this. Hey. I am new in VBA code and I need help for the following situation. I have one Workbook with two worksheets, one is “Source” and another one is “Target”. I need to copy the data in “Source” and paste into “Target”. However, the problem is I have over 20 part codes with different shipment dates and shipment quantities in “Source” and I need to match the same part code in “Target” and paste the shipment quantity under specified shipment date. I need to loop this operation for 20 part codes. I got an excel sheet with data. Each 93th row I need to insert 4 rows (easy with a macro) an in those four rows I need to copy a set of formulas repeatedly. I want to copy data from one worksheet to another continuously. The source data named “Book1” and the target named “Data List” where I want to paste it. Book1 has 2 worksheets. But only the data on “sheet1” What I want to paste in “Data List”. In “sheet1” the range I want to copy is from A2:D101 but I want to copy only the active cells in that given range. In “Data List” I have only one active worksheet named “Item List” where I want to paste the data. The range where I want to paste it is from column A2:D2 continuously. Am trying to copy the data from sheet1 to sheet 2 using vb script but what were code i have written it is not capturing and also not getting error. My question is in the sheet1 i will update the data (ex-100records) the same data should copy to next sheet, also if i did some modification in sheet1 and clicked on copy button it should replace the previous records. 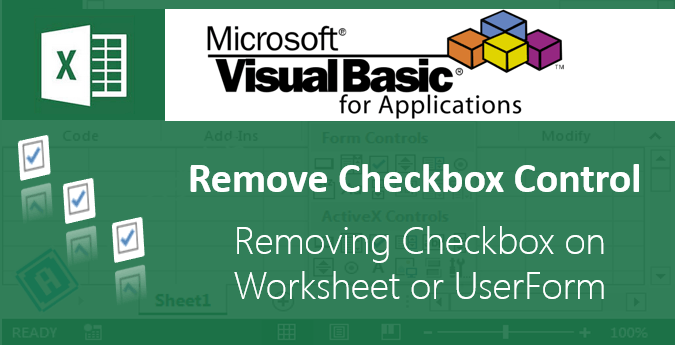 I’m new to VBA and when I try to copy from one sheet to another I get error 400 or Object required. I wanted to copy a name from sheet 2 and search the same in sheet 1 and if there is any match i want the macro to highlight the cell in sheet 2 with green colour, can you please help me with this. Hi, I have a workbook where I am building statistics between myself and a colleague. I would like to be able to pull the full data from our two individual worksheets to a “Full Report/Master Report” sheet that is complete data from both our worksheets. Now, since the labels are identical I would only need the raw data to transfer over, this so we can have a pivot table connected to the “Full report” that shows our full data. Everything is in the same workbook but on diffrent sheets, Is this possible? Every day I have to add data in first 4 sheets..
how to update the data automatically to the master sheet simultaneously while entering data…. Hi, i have a scenario which i would like to automate. Any help would be appreciated. So i receive a file daily with several tabs(10), in which i have different fields. Now i have to copy the data from all the tabs of the workbook mostly the A Column(there could be any number of lines in that ranging from 5 to 100) and so on in other tabs.now all the data from this workbook needs to be copied to to a new workbook with(current date will be the name of the file), and copy all the data in that workbook(Sheet1). I want to copy specific cell from one workbook to another workbook. How to do this with using macro ? ?